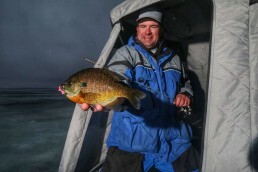 For the fourth year, the Fishing and Outdoor Radio Show has a weekly segment dedicated to Illinois high school fishing called Plano/Frabill’s Illinois High Schools Fish Here. 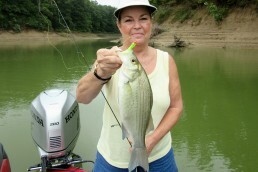 In 2009, the Illinois High School Association approved bass fishing as an official activity here in Illinois. Today, the number of high school fishing teams throughout the state has grown to over 235. 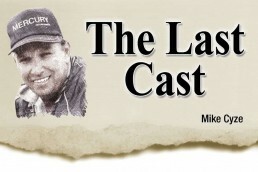 Fishing and Outdoor Radio Show hosts, Jim DaRosa and Don Dziedzina have keyed in on bringing high school fishing news and human interest stories to their show listeners each week. The radio show hosts also established an “Illinois High Schools Fish Here” Facebook group for anyone interested in high school fishing. High School fishing team and club members are encouraged to join. At this time, young anglers from all over Illinois post fishing reports, photos, ask questions, do some bragging and even share some fishing videos that they’ve made. At the end of the school season, the radio show hosts honor two high school teams, one north and one south of I-80, with the “Plano/Frabill’s Illinois High Schools Fish Here—Team of the Year” Award. School coaches responded to a questionnaire about their club. They were judged on the team’s efforts to promote fishing not only in their school, but also in their community. Growth of the club and efforts to teach members with little or no experience is taken into consideration as well. Winning teams, through the school/team coach, each received a prize package that includes a variety of new fishing equipment valued at over $5000 thanks to the event sponsors which include naming/title sponsors Plano and Frabill, and Pure Fishing, Bass Pro Shops—Bolingbrook, TTI Blakemore, War Eagle Lures, Strike King Lure Company, Bassminder, Reel Grips, RayJus Outdoors, and Evon’s Trophies and Awards. The Hinsdale South and Moline High School Fishing Teams were judged by the radio show co-hosts and their pro-staff as being fishing clubs that exhibited greatest effort to promote the sport of fishing and are the winners of the 2015 Plano/Frabill Illinois High Schools Fish Here Team of the Year Awards. Presentations were made to winners in April at their schools. Local mayors and school officials also attended the awards ceremonies.